The world-famous Pompeii, extremely well preserved, attracts every year around 2 million visitors. The site, which is classified as "endangered," could disappear one day. So, before it is too late, you should visit it. It's worth seeing! 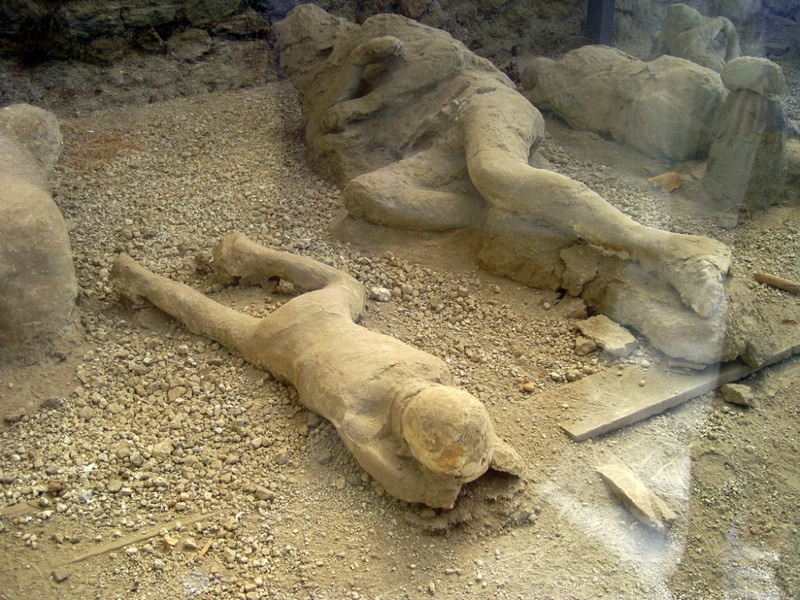 On the night of 24th October 79 A.D., a volcanic eruption of the Vesuvius buried five cities around Naples, that is to say, Herculanum, Oplontis, Boscoreale, Stabies and the most famous one: Pompeii. 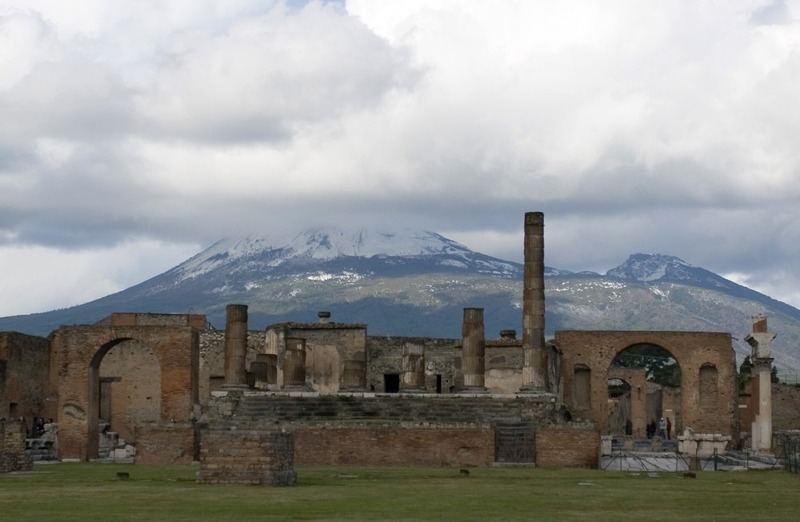 Before the disaster, Pompeii was a flourishing city, at the height of its power. The eruption took by surprise the inhabitants of this city. 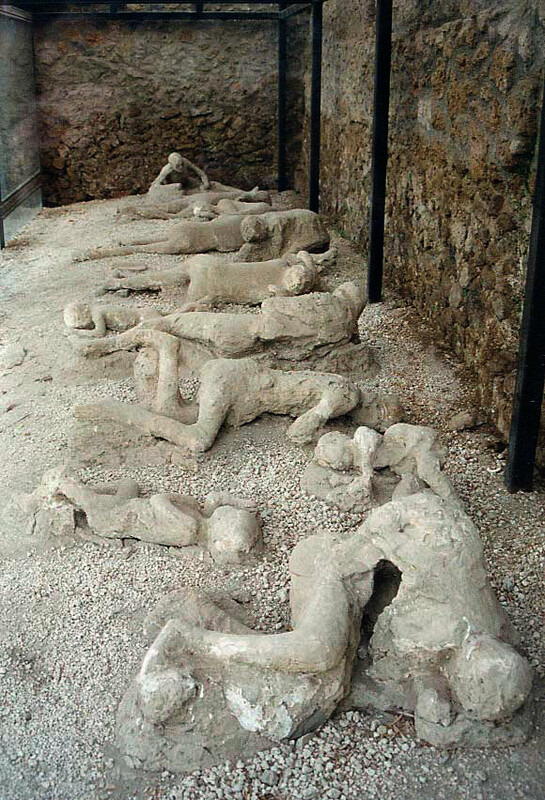 Indeed, when you visit Pompeii, you also visit a site, where a tragedy took place. According to an estimation, around 3,000 people died this night. The eruption was so intense that a vertical column of between 20 and 30 kilometres would have risen above the crater of the Vesuvius in just a few minutes. 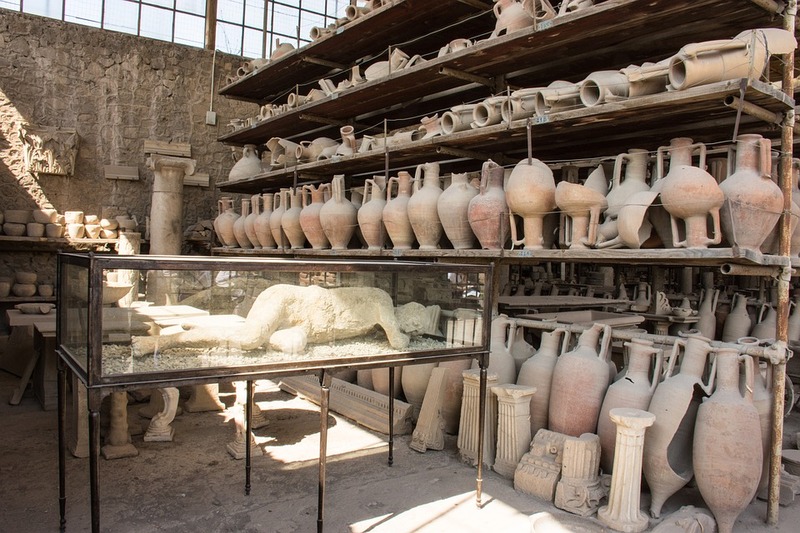 For 18 hours, rains of ashes, pumice stones and several bursts of burning clouds buried Pompeii. The Vesuvius was considered extinct at the time as the last known eruption took place in 217 B.C. and according to writings of this period, earthquakes were recurrent between 62 and 70 A.D., so nobody thought the shocks (before the eruption) were actually the signs that an eruption was going to happen. The city has been forgotten for more than 1500 years and rediscovered in the 17th century in an incredible state of preservation. You will be surprised by the incredible conservation of the bodies, killed instantly by the fiery clouds of a temperature of more than 300°C. The victims were burned alive and remained frozen in their last gestures. In 1997, Pompeii was listed as UNESCO World Heritage. 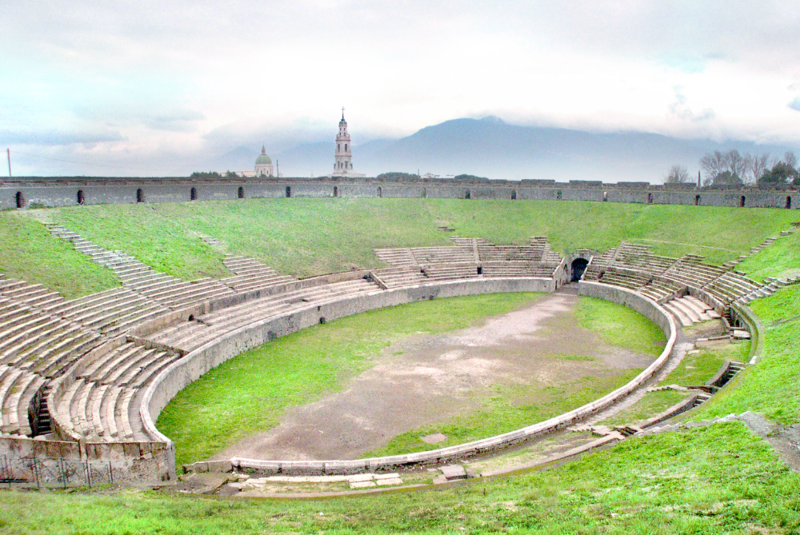 You can spend an entire day in Pompeii but generally two or three hours are enough to visit most of the city. Pompeii is fairly close to Naples but 240 km (around 150 miles) from Rome. 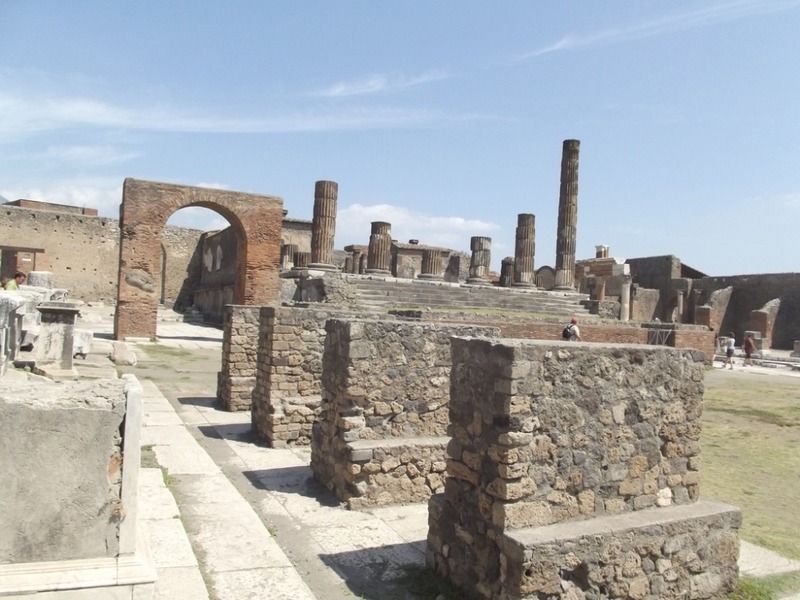 If you spend your holiday in Rome note that many tours are organised to visit the Pompeii site. If you do not like tours you can rent a car or buy a train ticket to reach Naples. Then, in Naples, you will have to take a train to go to Pompeii. There is no non-stop train from Rome to Pompeii unfortunately. And be prepared: trains in the direction of Pompeii are often crowded. So, the other (practical) solution is to take a taxi in Naples. Moreover, the taxi will wait for you during your visit. It is more expensive (around 90 euros) than the train (around 3 euros) but at least you will travel comfortably. The entrance ticket for Pompeii costs 11 euros (full price) and 5.50 euros for 18-24-year-olds and teachers. It is free for EU nationals under 18. And every first Sunday of the month the entrance is free (but it will be crowded). You can buy in advance “no queuing tickets” to avoid the crowd at the entrance. It is just slightly more expensive (around 15 euros). - From April to October: from 8.30 am to 7.30 pm. - From November to March: from 8.30 am to 5.30 pm. - It is closed on 1st January, 1st May and 25th December. - Luggage and bags are not allowed inside the city, so you should bring a small handbag. - For people in wheeling chair and parents with pushchairs, enter via the Piazza Anfiteatro entrance, where a special road was built to meet the needs of people with reduced mobility. - At the entrance do not forget to ask a map of the site. It is essential and if you do not ask they may "forget" to give you one. Pompeii is vast so without a map, it is like walking in a labyrinth. I hope you will enjoy your visit as much as I enjoyed it!